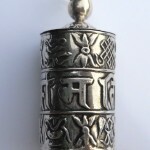 Category: Tibetan Prayer Wheels. 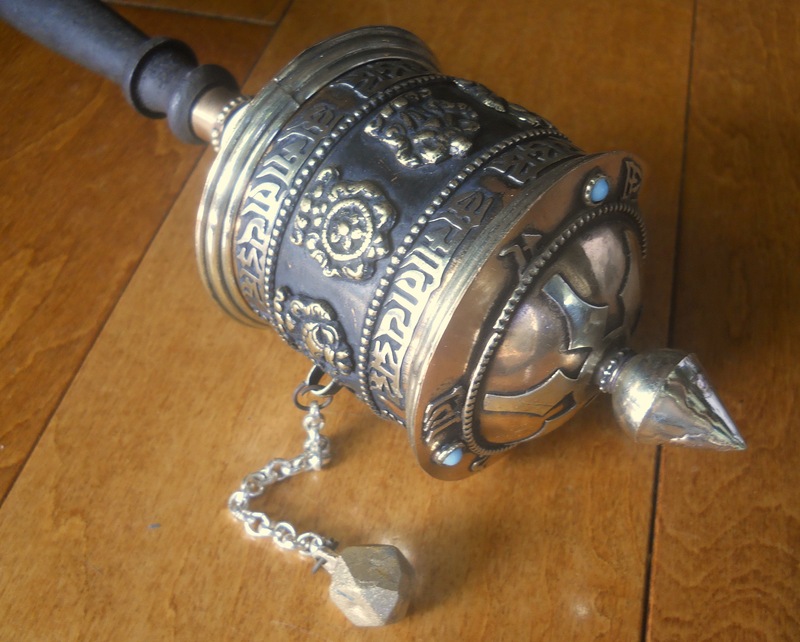 Tags: Buddhist Prayer Wheel, Prayer Wheel, Tibetan Buddhist Prayer Wheel. 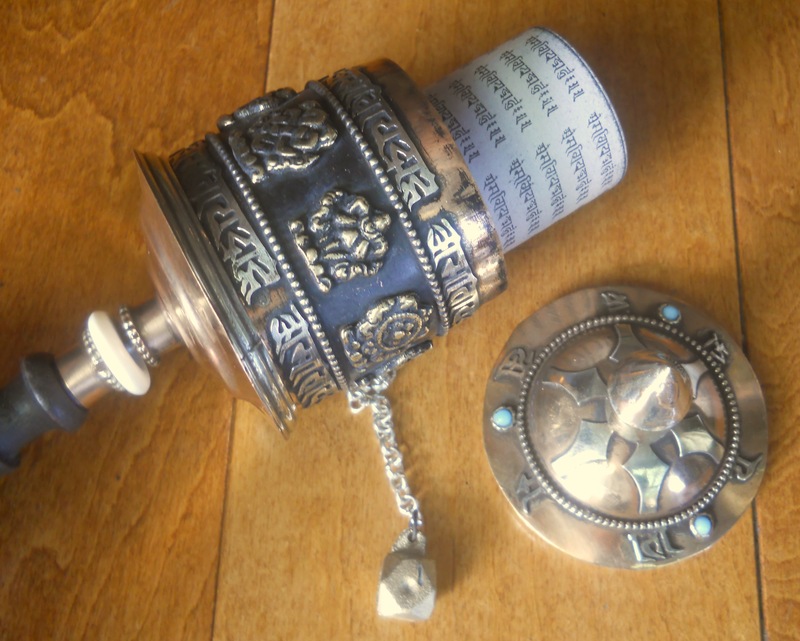 Here is a great Prayer Wheel Bead made of Copper & Brass with Gemstone accents.. 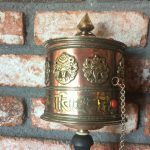 Inside it has a scroll of the Tibetan Sacred Mantra saying: OM MANI PADME HUM & the EIGHT AUSPICIOUS SYMBOLS of TIBETAN BUDDHISM. 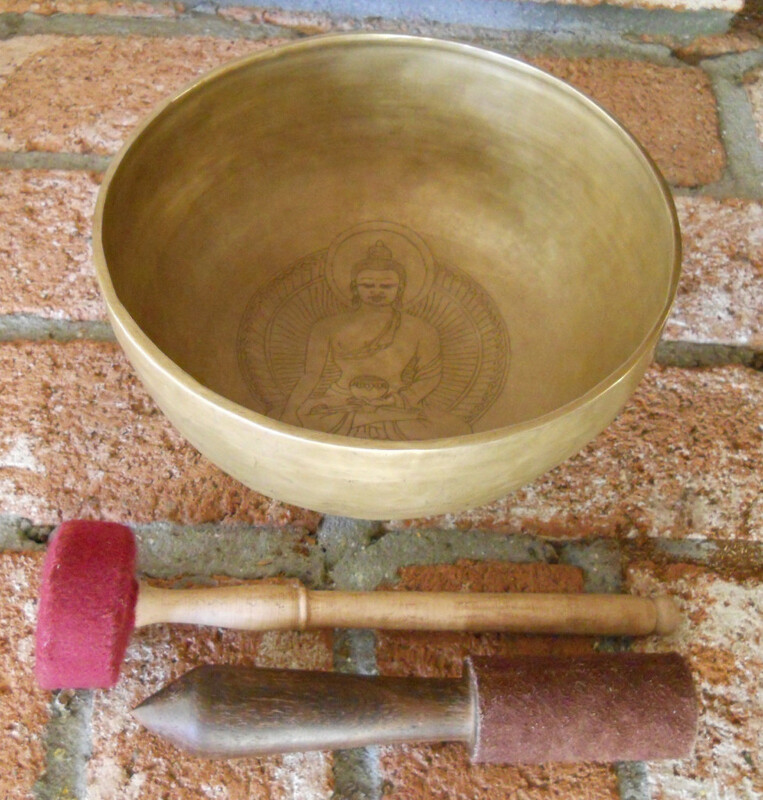 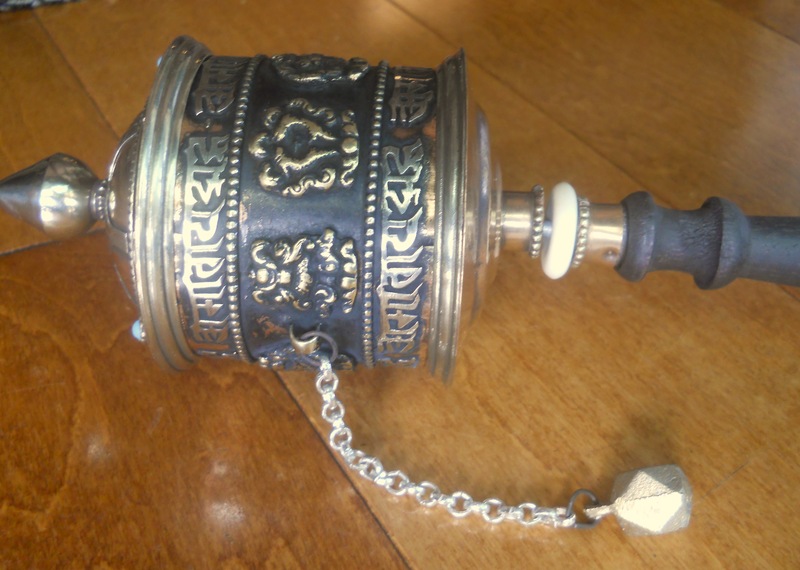 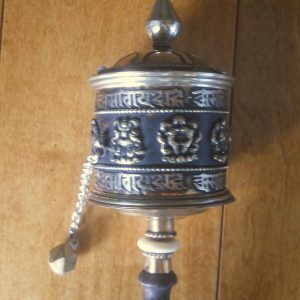 The Prayer Wheel measures 12″ long & 2.75 inch in diameter. 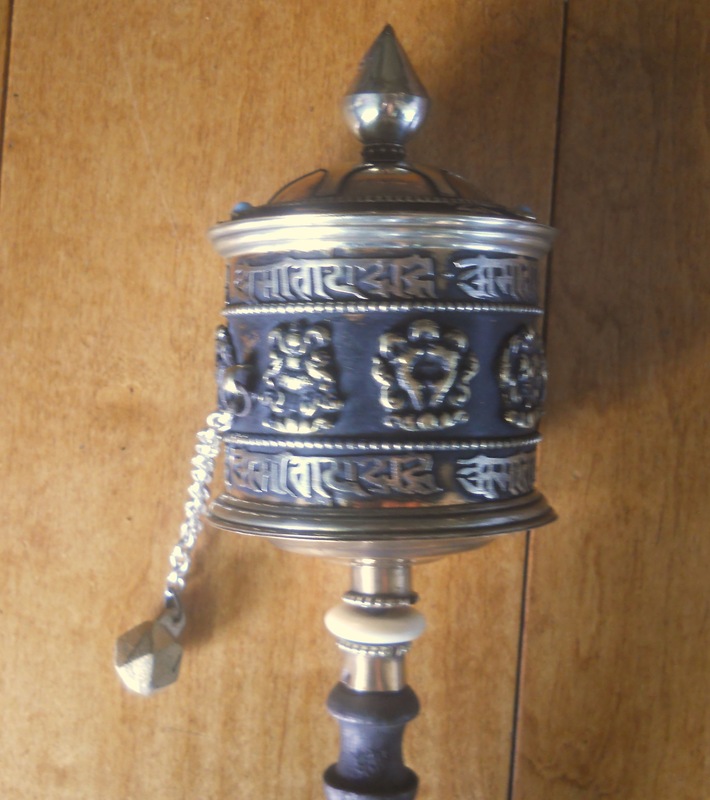 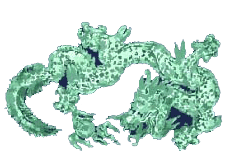 Enjoy this Sacred Tibetan Ritual Dharma Item.